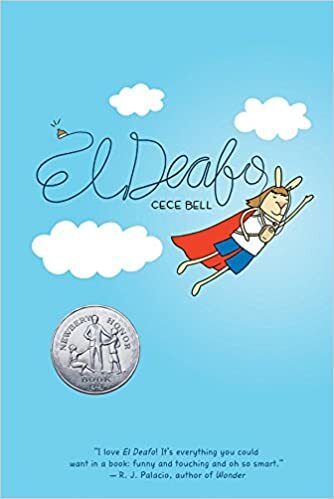 El Deafo is about a girl named CeCe, who is hard of hearing. She’s not deaf, but she can’t hear or understand what people say. She needs hearing aids to help her be able to hear and understand others. At first, she really struggles with it. Doing stuff that hearing people do is so much more difficult for her. She doesn’t fit in, and feels like her hearing aids make her a freak. She’s tired of people treating her differently. As she starts to understand more about how to understand herself and others, she starts to accept herself and make friends. This book was absolutely fantastic! I think I may have a new addiction. I’ve never liked reading graphic novels, comics, or manga because I’ve found it difficult to read and understand. Going into this book, I was unsure whether I’d be able to get through it. I read it in one day. I couldn’t put it down at all! Second, the illustrations. As I said, I was never a big fan of any books with pictures in them. I always thought they were for people who didn’t like reading. But these beautifully drawn colorful pictures added so much to the story. It would not have been anywhere near the same story if it was a novel. It had to be a graphic novel. Seeing CeCe and her struggles made it that much more real and gave me so much more empathy for CeCe. Third, the themes. Of course, the biggest theme here is treating those with disabilities like you would treat anyone else. And that was the biggest takeaway. But other themes include friendship, family, and accepting yourself and others the way they are.